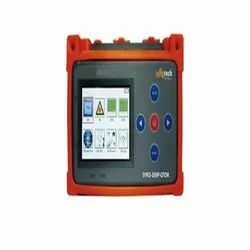 OTDR-Full function OTDR that also allows live fiber testing (1310/1490/1550). PON Power Meter-Can check OLT/ONU, very useful for Internet providers. OPM-Optical Power meter +26 to -50 dB. VFL-Check fiber faults visually, Optical power is 5mw. For network cables, Coaxial cables and other cables & wires. Network Test-Check network health, No need of laptop, Check Internet speed. Link Test -Can check ping to the router/Gateway. Line Test-Check break/Shorting point in the copper cat-5/6 cables. Line Search-Find under the wall or cable in the control room. 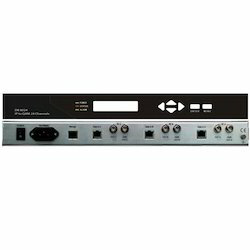 Multi-functional IP modulator DB6016 can receive 8 TS and then multiplex and process it with channel coding, finally output 1 channels of adjacent RF signals after modulation, and it is our economical core product of digital cable TV head-end solutions. DTV TS Processing Platform DB-8800 is the flagship TS processing device of DBC’s new generation high speed IP-based DTV head-end equipment series. Together with IP QAM modulator, TS convertors & encoders with IP outputs, traditional TS processing devices and ASI/IP adapters, they form the turnkey solution of the new generation DTV head-end system, which is based on IP networks. It will substitute the traditional DTV head-end devices and become the core device in our new generation DTV head-end system. DB7016 is an IP Multiplexer with QAM which can receive multiple MPEG-2 TS in form of IP data, and then multiplex, scramble, and insert local information to the TS, finally output RF signals after QAM modulation. 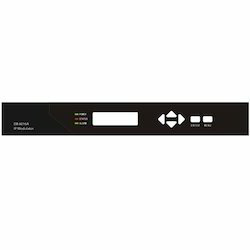 The input signal could be the IP output from encoder/receiver/multiplexer/VOD server, and it can be used in DTV core-to-edge TS processing and modulation. 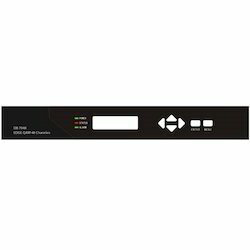 DB-8024 can receive multi-channels of MPEG-2 transport streams with IP format inputs, and then output RF QAM signals, which can be transmitted in the HFC network. The device can be applied to the area of digital broadband application system, such as data broadcasting, VOD, internet TV service, online meeting, etc. 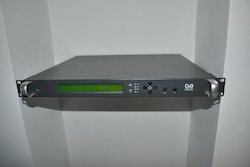 DB-7048 is a new generation of DBC IPQAM device capable of processing up to 48 output channels. It takes multiple UDP format MPEG-2 transport streams and applies multiplexing, scrambling, and local information insertion (such as EPG, NIT, etc.) on them, then finally outputs RF signals after QAM modulations. DB-7048 supports up to 3 daughter boards, with each of them supporting 16 output QAM channels and equipped with 2 optical/electrical slots which can be used for either RJ-45 or SFP ports. The daughter board can be physically installed and uninstalled anytime when the power is off which provides users with flexibility for using. DB-7048 supports functions of pass-through, multiplexing, scrambling, and modulation. It also supports module authorization management system, by which the number of CAS simul-crypt channels can be added from 0 to 4 by the authorization program file. DB-7048 is equipped with web-based management and SNMP, which makes it possible for remote online control and monitoring. 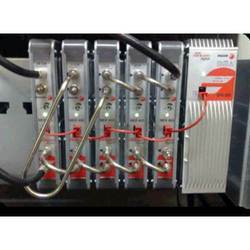 DB-7048 can be applied to cable DTV head-ends, sub head-ends, or broadcasting centers. With its powerful processing capability, one unit of this device can easily meet various customers’ satisfactions. We are providing the best quality digital head-end to pur reputed clients.